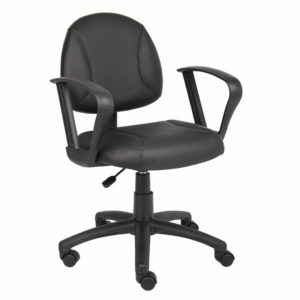 The Deluxe Posture Chair is upholstered in Black LeatherPlus (leather and polyurethane), for added softness and durability. 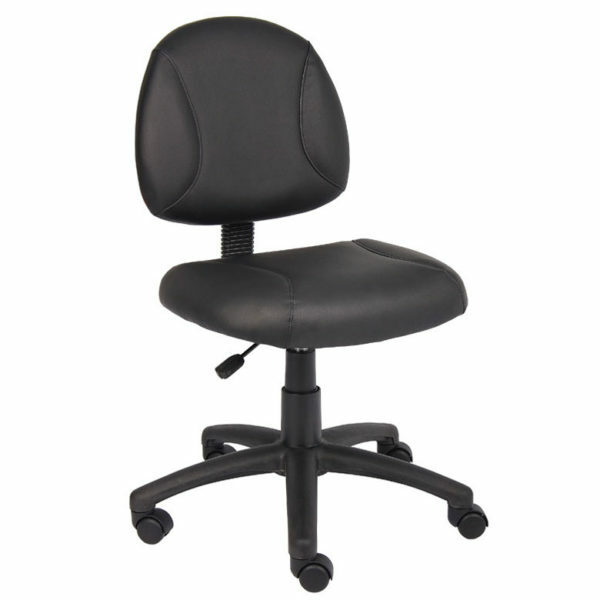 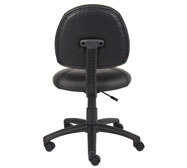 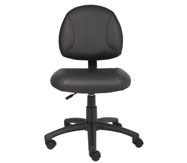 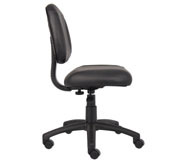 In addition, it has thick padded seat and back with built in lumbar support for extra comfort. 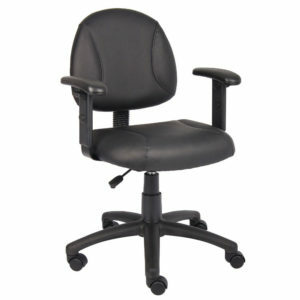 It has an adjustable back depth that can be easily customized for your personal needs. 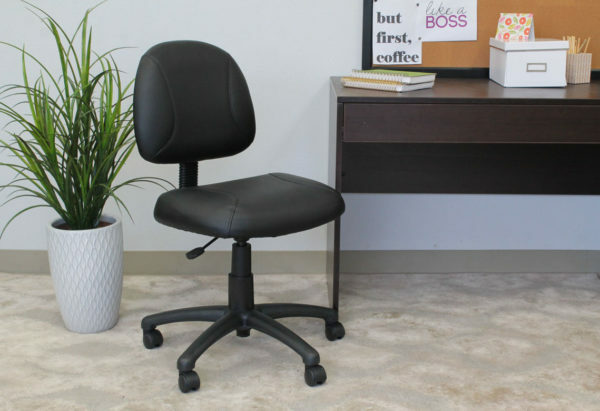 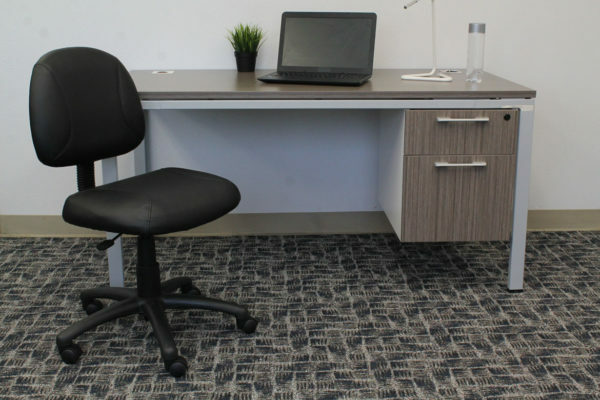 The pneumatic adjustable gas lift allows for easy seat height adjustment, to help you find the personalized sitting style that suits you and your work environment. 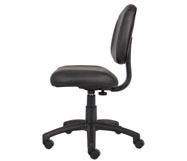 The five star nylon base allows for smooth movement and stability. 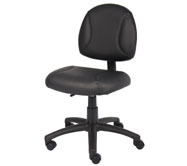 The hooded double wheel casters make it easy to move and shift directions.